This one is in The Archivist by Ken Scott, 4th Edition and the review can be found on page 20. Listening to this was like getting kicked in the stomach. Isabel's warbling vocals are too much, a unique record in every sense. Thanks for the opportunity to hear this one of a kind record. This one is really old and sounds a lot like the sixties. Some songs are even influenced by the Beat music of that time. I think this is one of the greatest rock ‘n’ roll records of all time. I’ve never heard a more sincere, impassioned record in my life. 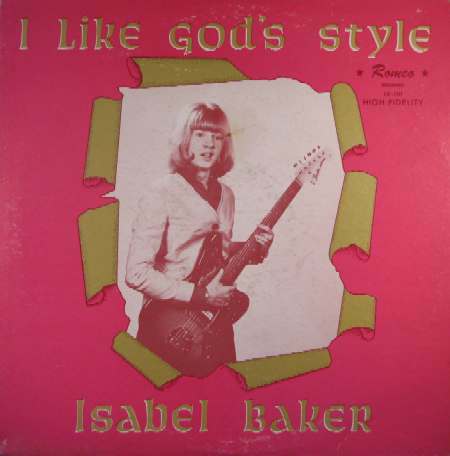 The 16-year-old Isabel Baker was a one-of-a-kind talent and in these songs of faith and devotion, she is beautifully bearing her soul. Quiet start; Oh, can you go?